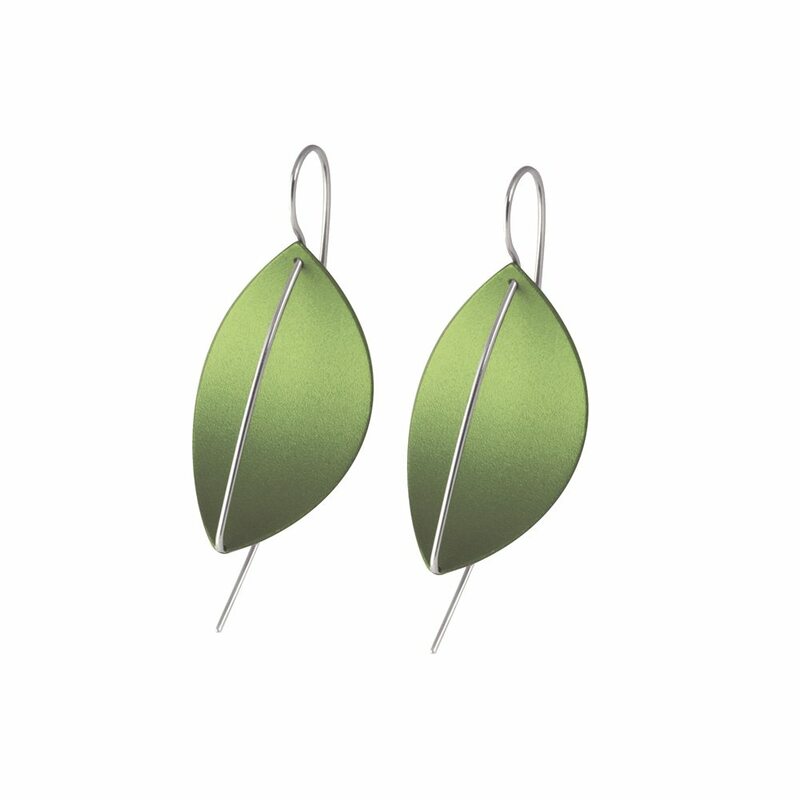 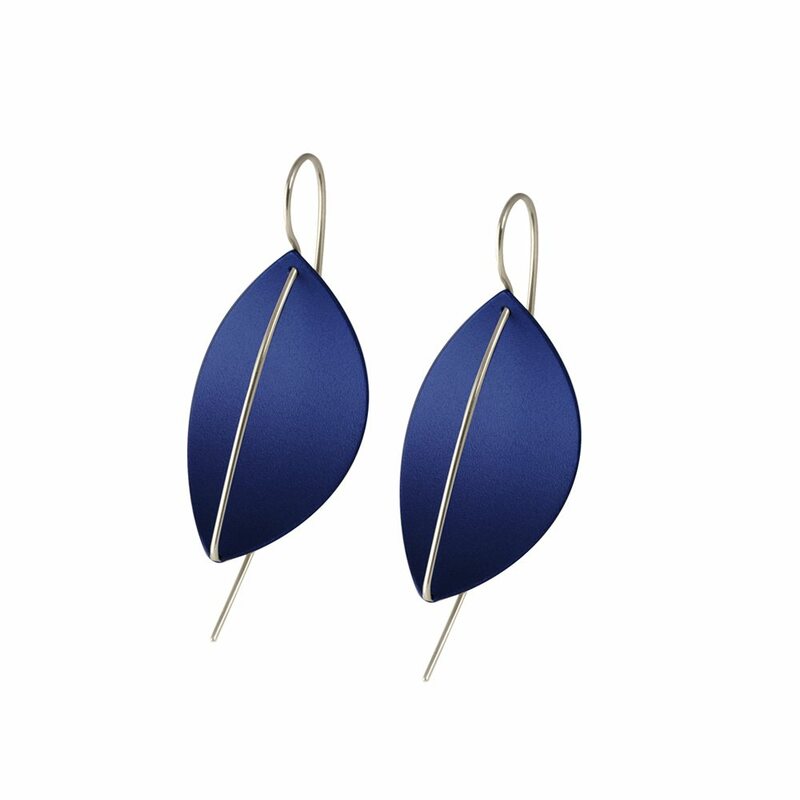 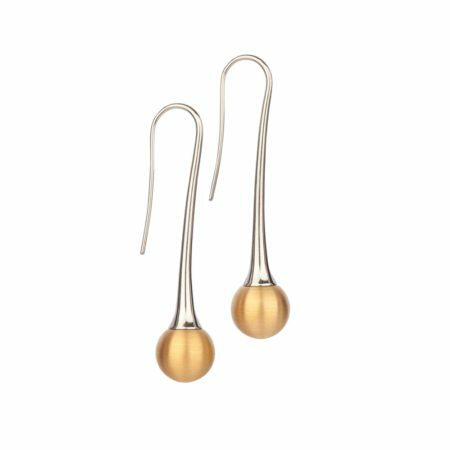 Perfect with long or short hair, these leaf shaped earrings are striking and contemporary. 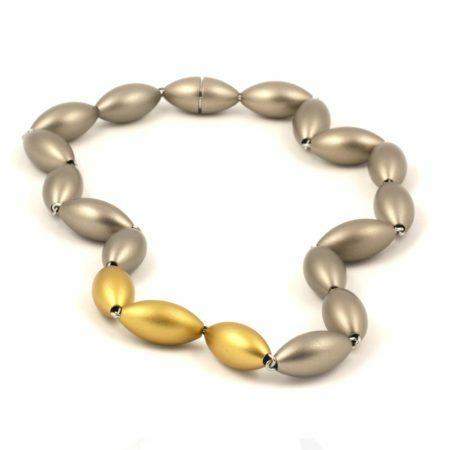 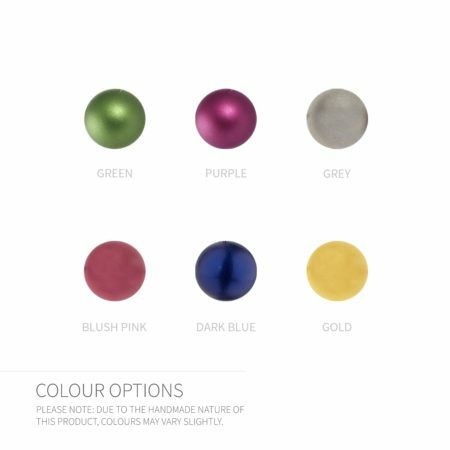 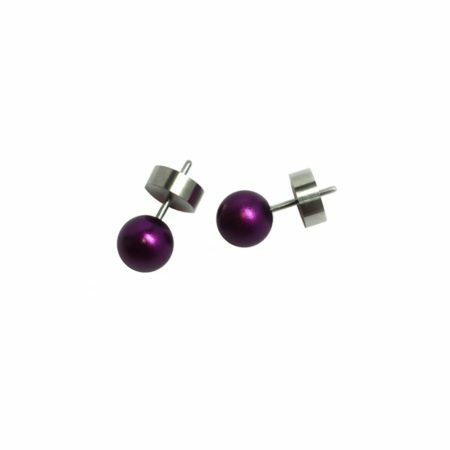 Made from stainless steel and anodised aluminium, and available in a wide range of exciting colours, they weigh very little and are a joy to wear. 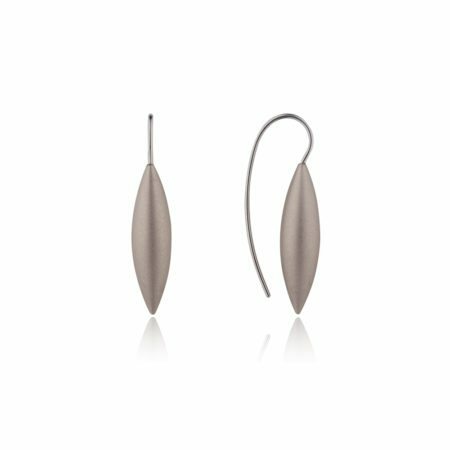 Something a little bit different to complement any outfit!